Assistance is Only a Click Away! Have questions? Need help? Genuine Lishi is here for you! Whether you need more information about a particular tool, a distributor, or need help with registering your lock tool Genuine Lishi representatives are standing by to answer your questions. We go beyond developing and manufacturing high quality vehicle opening tools that will change the way you work, we help build a community of professional locksmiths and help in every way possible for them to succeed. “I cannot login to my account” – passwords get lost from time to time and we will be more than happy to help you get full access to your account. Please provide us your name as it was originally listed in the account and the email you registered with and we will send you a change of password email. “I am interested in training. Please help me find a suitable trainer in my area” – choose this option from the dropdown box if you were unable to find an Approved Genuine Lishi Trainer. In your message to us include your region and we will find the best possible option for you. “I’d like to be considered for an Approved Trainer” – we always welcome professional locksmiths that are interested in sharing their knowledge. Send us the region you are in, what your experience as a locksmith is and what Genuine Lishi tools you can teach other locksmiths to use. 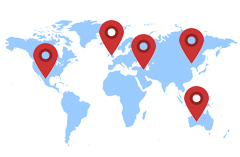 “I need a distributor in my area” – If no Approved Genuine Lishi Distributors came up in your area during your search send us a message with a trusted distributor you generally work with in your area and we will contact them immediately. “I need serial numbers for the following tools” – if you were unable to find a serial number on the back of your auto locksmith tool or tools please include the tool information and distributor you purchased it from and we will send you an email with them. “Other” – If your question or concern doesn’t fall under any of the above topics we will direct it to the appropriate representative to help you in every way possible. 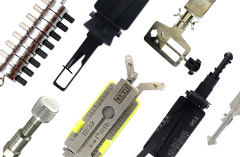 Genuine Lishi works hard to create a community of trust among locksmiths and distributors. Our goal is to ensure not only high quality and effective lock tools for professional locksmiths but as much assistance and guidance as possible to guarantee success.